offering increased power, improved aerodynamics and further weight reduction, the lamborghini ‘aventador LP 750-4 superveloce’ was revealed at the 2015 geneva motor show. with a focus on decreasing density, 50kg has been reduced thanks to its extensive use of carbon fiber. this, as well as the naturally aspirated V12 engine that produces 750 hp, results in a power-to-weight ratio of just 2,03 kg/hp. this allows it to accelerate from 0 to 62 mph in 2.8 seconds, and to a top speed of over 217 mph, making it their most sports-orientated series production model to date. ‘the new aventador superveloce continues the lamborghini tradition of SV models, pushing the boundaries in terms of performance and pure driving emotion,’ says stephan winkelmann, president and CEO of automobili lamborghini. 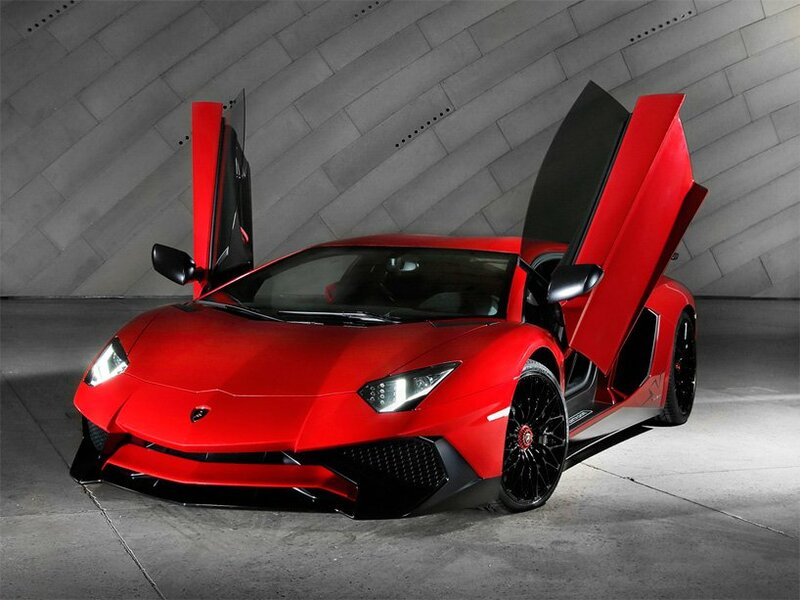 ‘the original aventador was presented four years ago, and the superveloce pays homage to its passionate owners, as well as the fan community, whose enthusiasm has resulted in the biggest commercial success ever of a lamborghini V12 super sports car. in the superveloce lamborghini’s expertise in lightweight engineering is clearly evident. with technological features which, combined with design, quality standards and craftsmanship, the superveloce results in the most exclusive, pure and emotional production model in the history of our brand.’ its latest super sports car expresses the brand’s unmistakable DNA, emotion and exceptional driving precision.